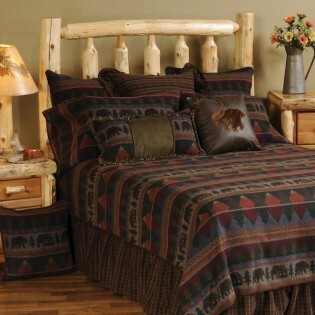 Our Cabin Bear rustic bedding is made from a unique wool blend blanket fabric that is 30% new wool, 25% acrylic, 35% viscose and 10% polyester. 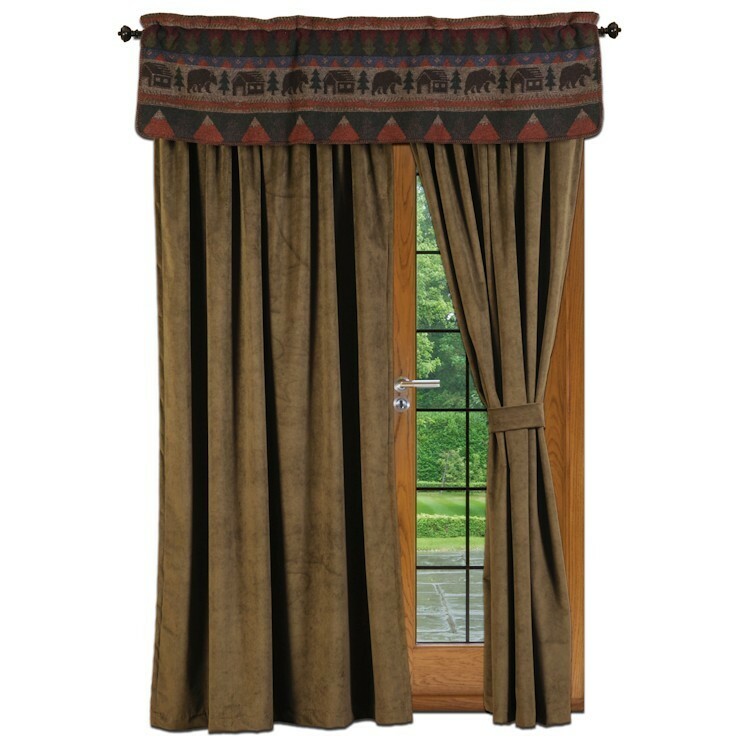 The result is a soft warm and easy care fabric that you may safely machine wash in cold water and air dry. 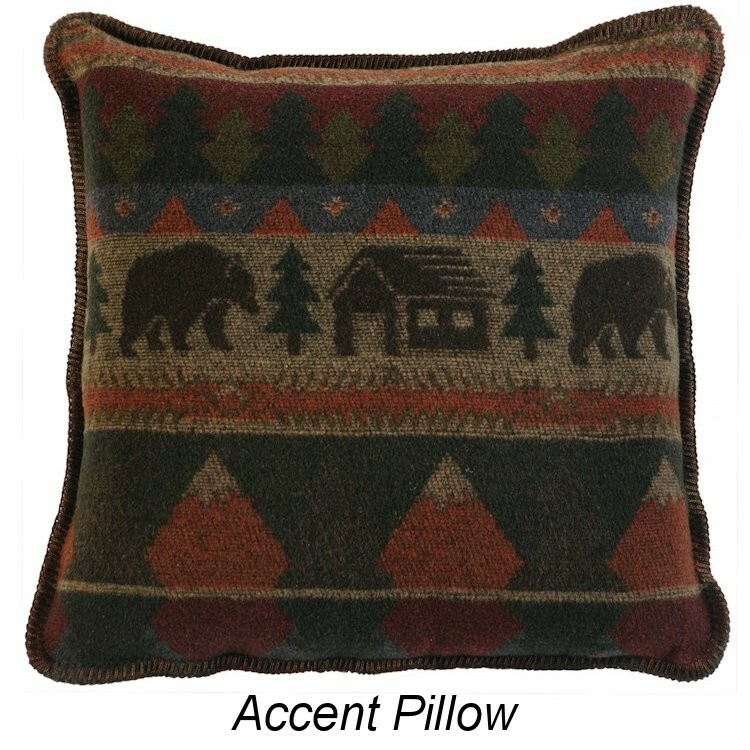 Colors are rich shades of camel, brown, rust, gray blue, plum and green. 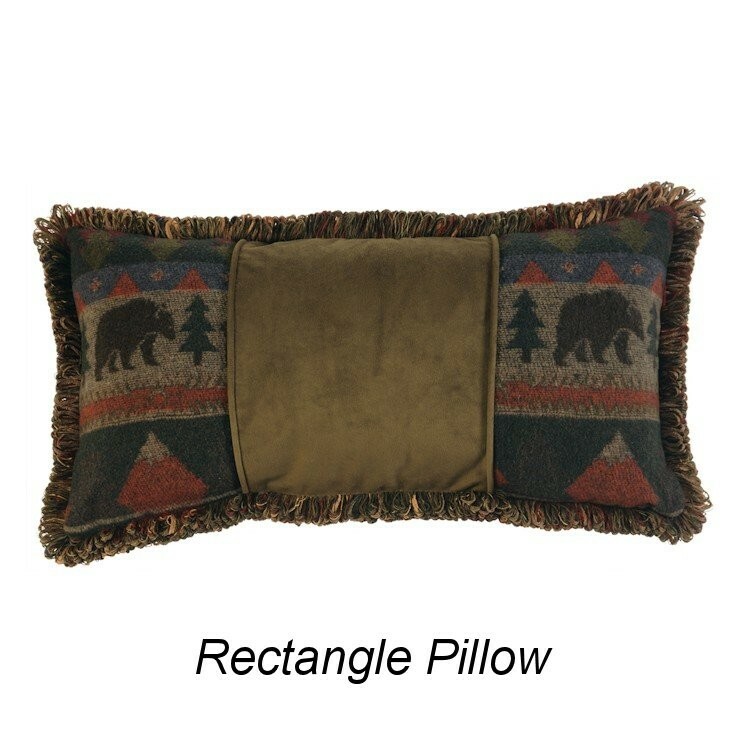 Single layer blanket covers have blanket stitch edge detail. 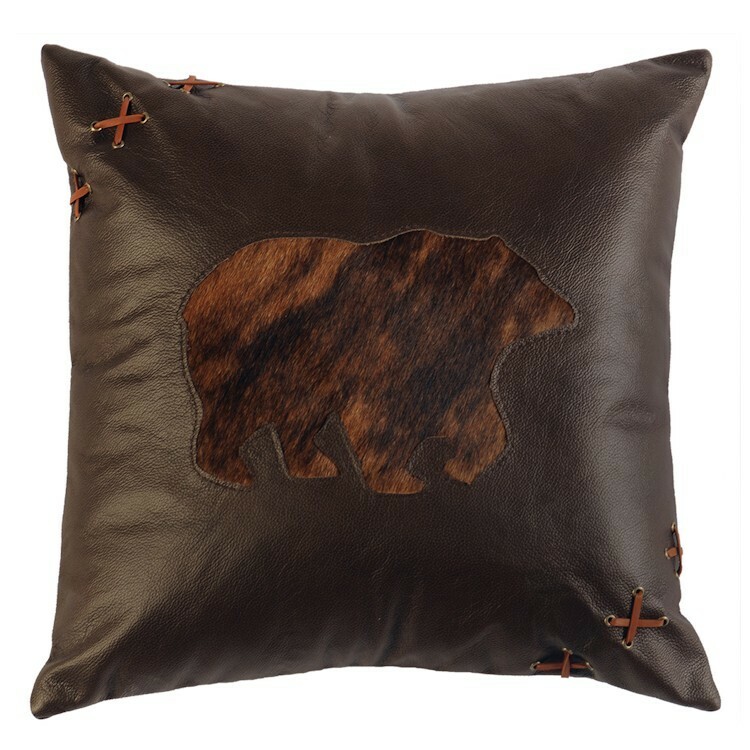 Complete your bedding ensemble with a Cabin Bear Throw and Decorative Accent Pillows. 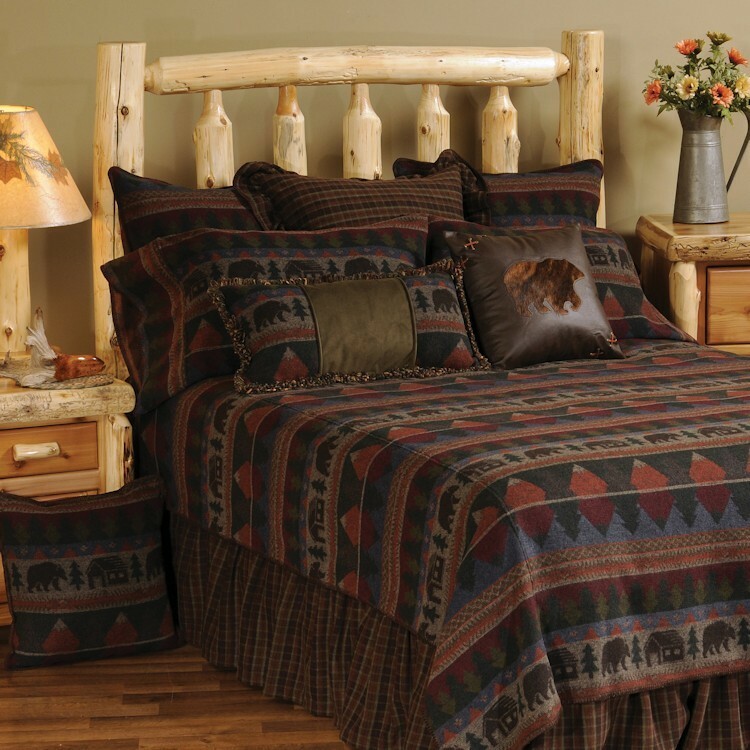 A Traditional Log Bed will also make a wonderful addition to your lodge style bedroom.